The Stampin’ Up! retiring product lists were released today! 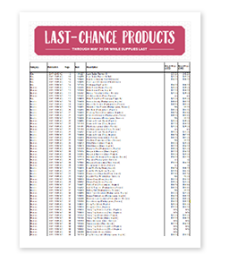 It’s your last chance to purchase retiring products! Click the links below to see which products are retiring and currently available. STAMPIN’ UP! COLOR REVAMP! Stampin’ Up! is making beautiful (I’m in love) but significant changes to their color collections effective June 1. I’ll be sharing more information on what’s coming soon! 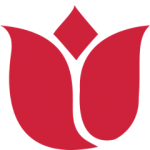 The following colors will be retiring from the core collections along with the 2016-2018 In Colors (with the exception of Flirty Flamingo continuing as a core color). For more color resources & important color revamp information click here. The best DEAL of all! Purchase the $99 Starter Kit and join Stampin’ Up! for even more free products & discounts. Choose up to $125 in ANY current products for sale (including retiring merchandise), pay $99 (that’s $26 FREE) and the kit ships free (another 10% savings). BONUS! With your demonstrator status (by purchasing the kit and joining Stampin’ Up! ), you’ll be able to see the new catalog on-line NOW, pre-order select products from the NEW Annual Catalog NOW (Share What You Love Bundles and products and the new 2018-2020 In Color Ink Pads – see flyer) and pre-order May 2 (more select products from the Annual Catalog)! All this with a 20% discount thru a minimum of Oct. 31, 2018. YES, PLEASE! The Annual Catalog officially begins June 1. My Stampin’ Pretty Paper Pumpkin Club – SAVE 50%! Good question. The other colors that you see (not on the retiring list) are not retiring. However, they are coming out with a new ink pad style so the old style ink pads are retiring for those colors. I was wondering why there were ink pad colors on the rest of the things retiring that weren’t on the list of 13 retiring colors.